NORTH ANDOVER, Mass., Nov. 01, 2016 (GLOBE NEWSWIRE) -- JENSEN Tools + Supply (formerly known as Stanley Supply & Services), the industry’s leading provider of product and services for electronics manufacture, assembly, diagnosis and repair professionals, announced the promotion of Sean Hurley as the new territory sales manager for the New England region today. Hurley who has been with JENSEN Tools + Supply for over 16 years as an account manager, immediately distinguished himself for his product and industry knowledge, keen business development focus, and leadership abilities to develop sales strategies. His contributions to JENSEN’s success in the competitive electronics manufacturing by negotiating contracts and offering value-added inventory management programs for assigned customers were recognized and rewarded with today’s promotion announcement. "We are pleased to announce this promotion. This is the latest in an ongoing series of efforts to make sure that we provide customers with the highest level of service and expertise in the e-MRO market. With nearly two-decades of sales experience, Hurley has proven to be an excellent inside sales account manager focused on understanding our customer’s needs and converting that knowledge into value-added solutions for our customers. We consider him to be an integral part of managing our continuously-expanding New England customer base and sales coverage," said Ray Bellavance, Director of Sales and Marketing, JENSEN Tools + Supply. 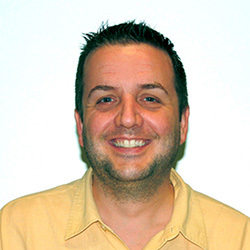 James Marson, JENSEN’s National Sales Manager said, "I am very excited to have Sean join our growing team! He brings a unique combination of talent, tribal knowledge, and product expertise to the New England market." Hurley brings years of experience in helping customers solve problems by providing them the best solutions. The leadership at JENSEN is excited to watch Hurley develop and grow the JENSEN’s eMRO market. He has a great mind for this business and is one of the best on- and off-the-field coaches the company has. Hurley’s true dedication and hard work have paid off. For more information, please email news@JensenTools.com or visit the JENSEN Tools + Supply website at www.JensenTools.com.